Nobody likes to think about the what-ifs in parenting, in life, or in travel. If you’re going to drag your family into the unfamiliar, it’s a lot more fun thinking about making happy memories than imagining what tragedy could befall your little dumplings. 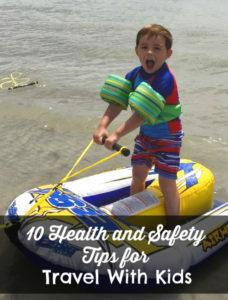 Reading about health and safety tips for travel with kids sounds like maybe about as much fun as going to the dentist, right? It’s worth taking just the tiniest dive into this material, though, because you can drastically lower your chances of being that poor family in the news by taking basic precautions. I’m not talking about location-specific advice like don’t try to pet a bear in Yellowstone, or don’t take a stroll with your kids through Times Square at midnight. 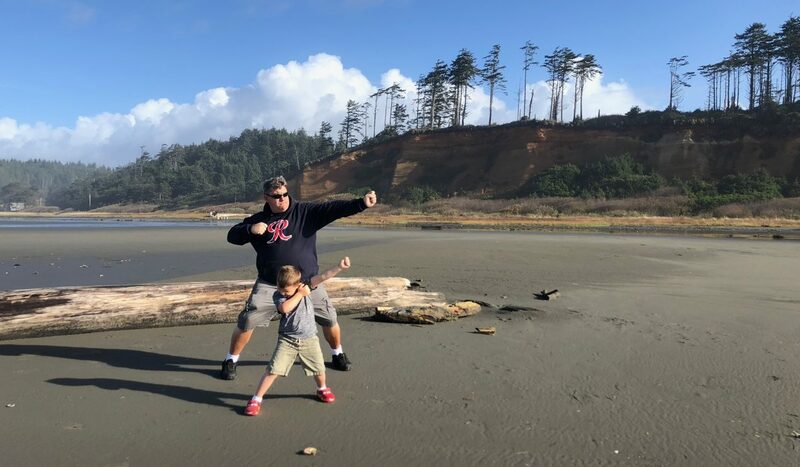 Researching your destination is important, but here are some tips that will help keep your kids healthy and safe in all corners of the planet. I haven’t lost a kid yet, but I did get separated from my own parents at Disneyland as a child and it permanently traumatized me. Although you never intend to lose sight of your kids, it’s prudent to make sure that if you do, they can find their way home. I’d love to just tattoo our contact information on our kids, but we haven’t gotten around to that yet. Kids who are old enough to recite addresses and phone numbers at home are old enough to memorize hotel names. We usually spend the drive or flight to our destination drilling the kids about where we are staying and our phone number. For the toddler/preschool set, I’m a fan of sticking a parent’s name, phone number, and email address on their person. You can get bracelets made, but I usually just write the information on a sticker and plaster it on the back of their shirts, especially if we are going somewhere crowded, like an amusement park. Finally, it’s worth reminding them of the old adage ‘look for a mother with children.’ Not to be biased against fathers, but in almost any territory, this is still the safest bet for a lost child. Sadly, most of our kids have aged out of PuddleJumpers and graduated to big, normal life jackets these days. Drowning happens to be my number one fear. In addition to watching my kids with eagle eyes, I require them to be in lifejackets around any body of water at all times until they can pass my own personal swimming test: swim the length of the pool without assistance. 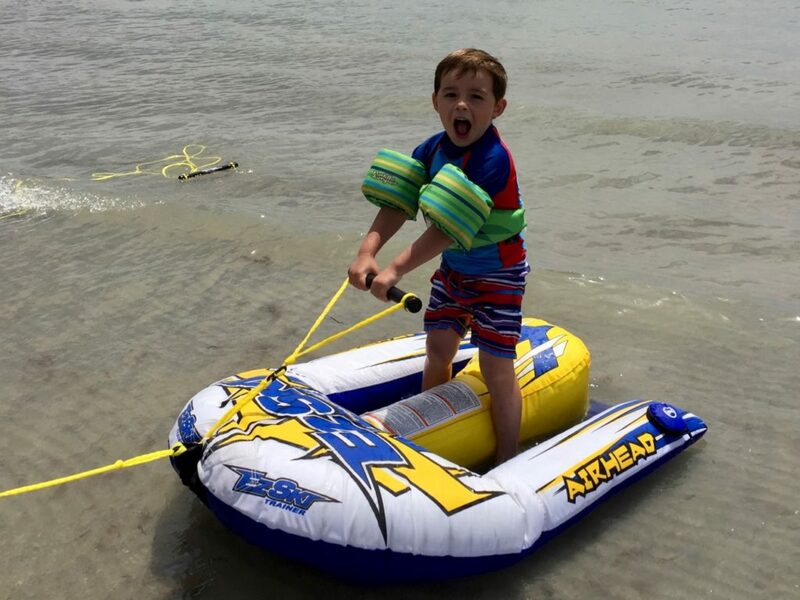 Don’t count on your destination to have appropriate lifejackets for children, either for the pool or for boating adventures. 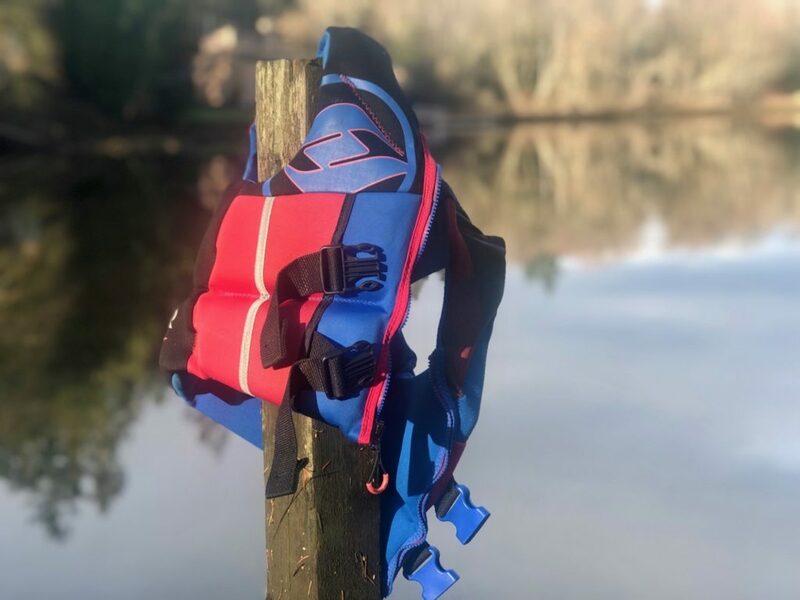 We spent years traveling with multiple PuddleJumpers in our suitcase, and these are still my favorite lifejackets for the toddler/preschool set. I also have a rule that if a child of any age so much as TOUCHES the water without an adult in the pool with them, they lose swimming privileges for at least 24 hours. Works like a charm. Sunstroke and heat exhaustion are real, and super scary. Furthermore, cold destinations can carry just as much sunburn risk as a tropical beach. Find a sunscreen that your kids can tolerate, and load up. I prefer mineral sunscreen because the chemical kind irritates my kids’ skin, in addition to being environmentally harmful. Do my kids look like creepy ghosts in it? Yep! Do I care? Nope! They aren’t sitting still long enough for photos anyway. Consider UPF sun hats and rash guards, too. Even kids who prefer to swim essentially naked at home (like mine) will sometimes agree to extra clothes when they realize it means less frequent reapplication of sunscreen. Insect repellent and sun screen are two vacation must-haves. Depending on where in the U.S.A. or any other parts of the world you may be traveling, you could be facing insects carrying Lyme disease, malaria, dengue fever, West Nile virus, etc. Not to mention the simple discomfort of mosquito bites, which can keep a kid up all night. Consider ahead of time if you will be exposed to insects, and if so, invest in some good insect repellent. If you have sensitive kids like mine, it’s worth doing a little research ahead of time: this stuff tends to have a strong scent and some burn a little, and you don’t want to pack one bottle that makes the kids scream. If you are looking for health advice for traveling outside the United States, or if you just happen to be a travel medicine nerd like me, the CDC’s Yellow Book is about the most fun you can have on the Internet. It is the Bible of travel health. You can find out exactly what vaccinations are required and recommended for your intended destination as well as whether malaria prophylaxis is recommended, and what other diseases you might need to be concerned about. Your primary care provider uses it, so you may as well take a peek before calling the pediatrician. You should check the Yellow Book as soon as possible while planning a trip, as many vaccinations are multi-dose series and you won’t be fully protected until you have the series. It’s worth the time and cost to make sure you keep your family as healthy as possible. The CDC’s website is worth visiting even if you are traveling domestically. Different areas of the U.S. have different disease risks (e.g. Lyme disease is a much bigger concern in some areas than others) so you should familiarize yourself with the health risks anywhere you go. 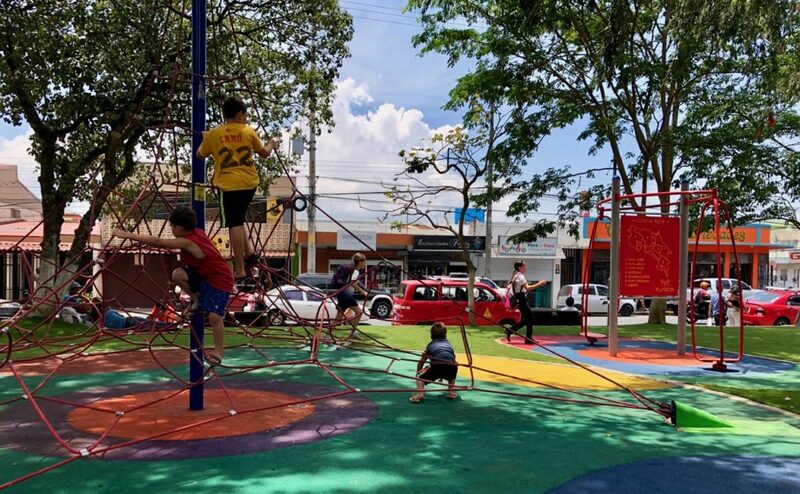 Accidents happen, whether you’re on a playground in Costa Rica or in New York. Knowing the nearby hospitals, having some Band-Aids on hand, and having the right insurance will make everything easier if something happens while you’re away from home. I don’t consider myself an overly paranoid traveler — some might say not paranoid enough, as I’ve never owned a money belt, for example. However, it really is true that risking the lives of your children is totally different than risking your own life (or cash stash). While you don’t have to bubble wrap your family, it may be prudent to take basic safety risks. For international travel, you can check the State Department’s Travel Advisories to find out where the U.S. government considers it safest to travel. You have to take this list with a grain of salt, or you might not travel anywhere (all of Europe, for example, is on the caution list currently) but it’s worth looking at which countries are on the “do not travel” list. A little research can usually reveal if you will be at high risk for muggings, pickpocketing, or having stuff stolen from hotel rooms. Money belts and travel purses with locking zippers and RFID protection are good investments if you will be traveling to urban or high-crime areas. Basic safety measures such as being aware of your surroundings, not driving or walking around at night, and not leaving valuables out are always good ideas, no matter where you go. Make sure you pack a really good first-aid kit. You can buy one, but I much prefer to customize my own medical kit based on my family’s needs and where we are traveling. You can find basic supplies almost anywhere on the planet, but kids tend to need Band-Aids and Tylenol five minutes after the local pharmacy has closed. Make sure you bring along extras of chronic medications and prescriptions, just in case of delays or losses. Being prepared means happier travels! Especially if you have anyone in your family with chronic health problems, you will want to be aware at all times of the location of the nearest hospital, just in case. Just keep an eye out as you drive through town to your hotel or house rental for that tell-tale cross. You can also ask at your hotel or Airbnb which local clinics and hospitals are considered most reliable. 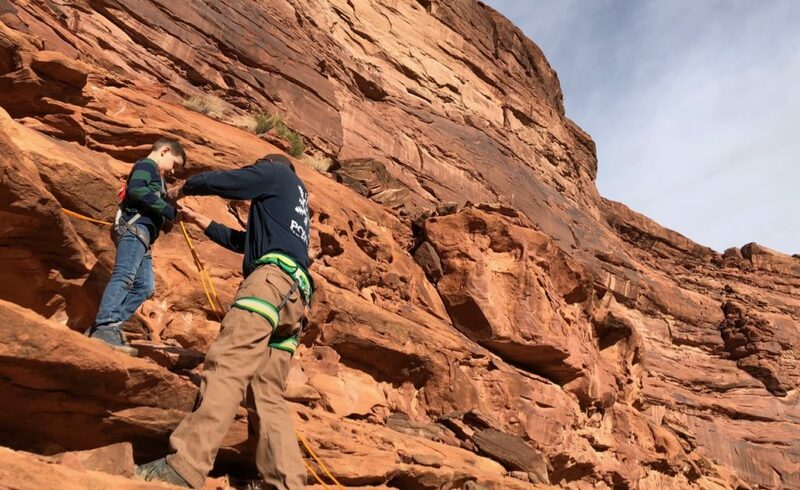 You may not always need a climbing harness to keep you safe, but you should always consider packing a first aid kit and buying travel insurance. Ah, health insurance. The bane of everyone’s existence. If you are a U.S. citizen and have health insurance, you will want to know what your out-of-state and out-of-country coverage is and bring the cards along. You should also remember that health care outside the U.S. is much less expensive than inside the United States, so if you have to pay out of pocket, it may not be as bad as you think. People traveling to the United States should also keep this in mind — treatment for simple ailments in the U.S. can be very expensive. Travel insurance is one of those things that most of us didn’t even think about as single travelers, and would prefer not to think about at all. However, maybe we should. All kinds of plans are available. Frequently travel insurance covers costs if you have to cancel your trip (which I sure could have used once or twice when the stomach flu hit our house). However, I think a better reason to consider it is the what-ifs about medical care: what if a member of your family is injured or becomes ill and requires hospitalization, medical evacuation, or a life-flight? These things can be astronomically expensive. Depending on the length of your trip, the location of your vacation, and your risk-taking sensibilities you may want to consider more insurance. And after all this, try not to worry too much! I’ve had years and years of successful travel with my family when I was a kid, and now with my husband and my kids. When I was growing up my family got lost in the backroads of Jordan, got lost in the French countryside, got lost in a desert in Oman…you get the drift. Thankfully we were always pretty healthy, but we had broken cars and terrible language skills, and still made it out alive thanks to the kindness and generosity of strangers. However, we did have our passports stolen in France, which is probably why I’m most worried about petty thievery when I travel. And maybe why I haven’t taken my kids to France? May preparation lead to happier travels for you and your family!